Do you love Americana Decor or maybe you need something to spruce up your home for Memorial Day or Independence Day? These inspiring red, white and blue ideas will add a festive touch to your home any time of year. All of these ideas are easy to do and budget friendly! 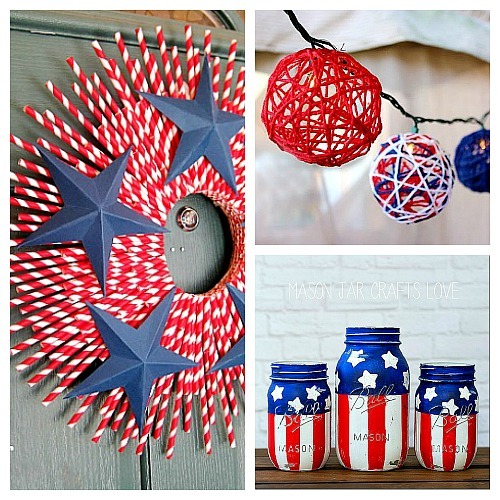 Check out these creative Patriotic DIY Home Decor Projects! 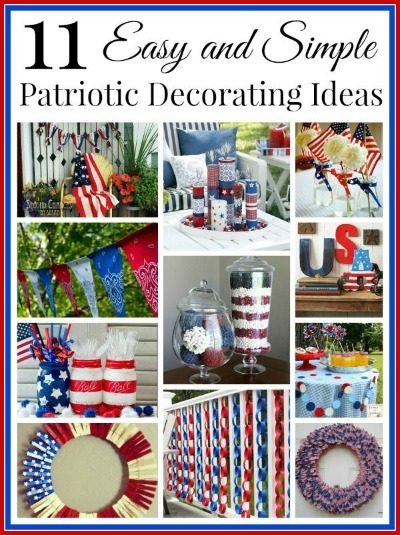 Patriotic holidays are some of the easiest to decorate for! All you really need is to combine red, white, and blue colors in a pleasing arrangement. 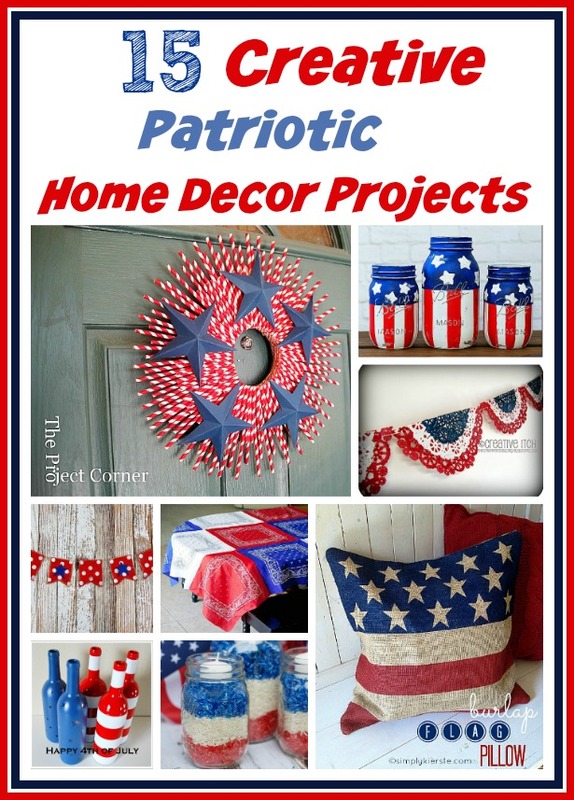 Check out the patriotic DIY home decor projects below for some clever ideas! This is a very unique and pretty wreath! The main material is paper straws. 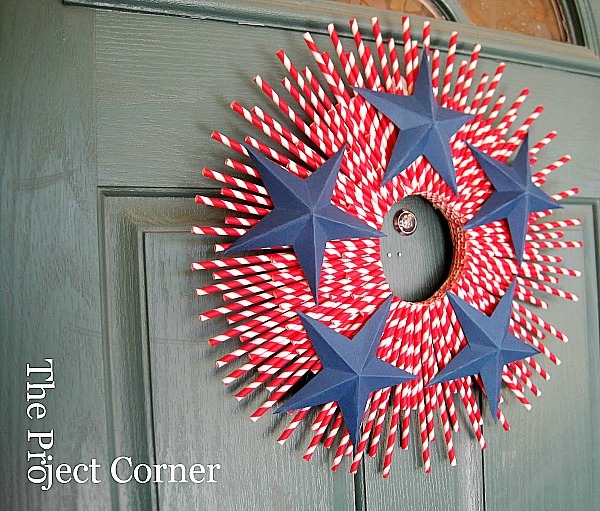 The Project Corner explains how to put together your own patriotic straw and stars wreath! These will look so pretty when lit at night! 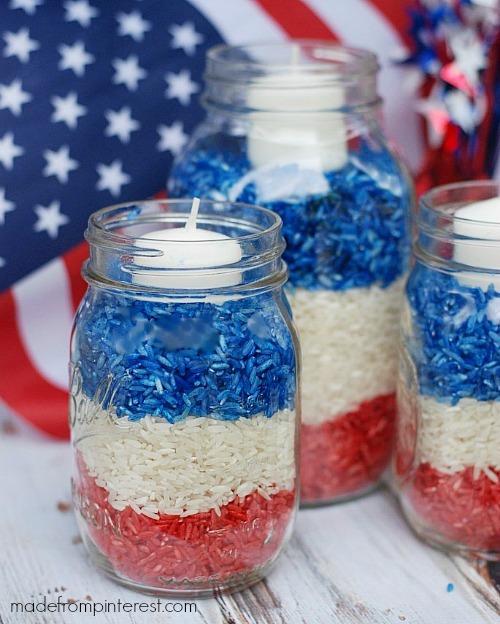 Made From Pinterest explains how to use rice to make these pretty red, white, and blue candles! Isn’t this a cute banner? All it requires is some red, white, and blue fabric and something to string it on. 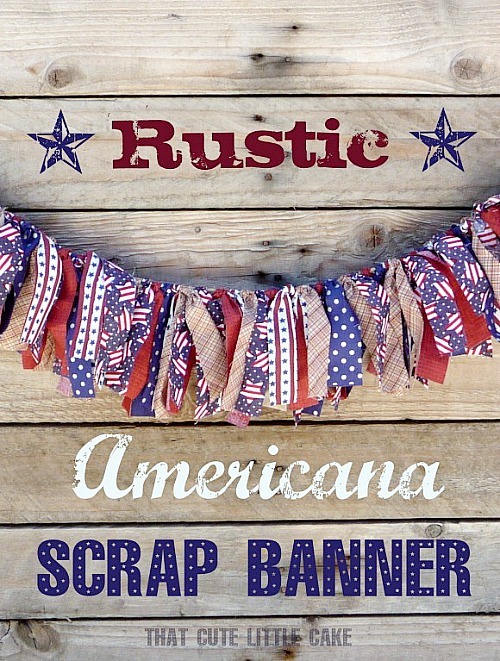 Catch My Party explains how to easily put together this patriotic fabric banner. This would be a fun addition to a Fourth of July or Memorial Day party! 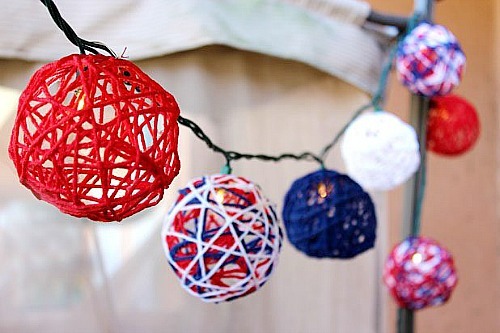 Check out the tutorial on eHow to find out how to make your own patriotic string lights from scratch! 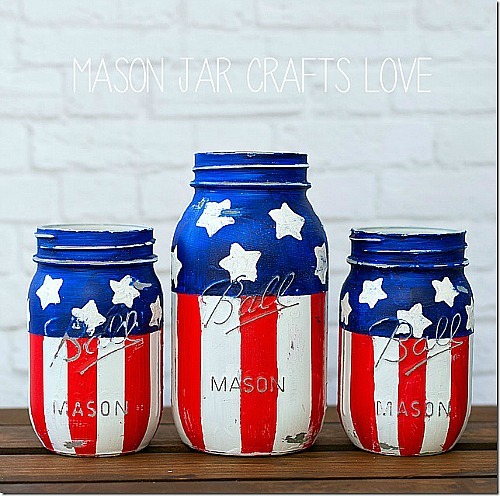 If you have any extra jars (Mason or otherwise), this could be a fun patriotic DIY to do! Mason Jar Crafts Love explains how to paint jars with pretty stars and stripes! This pillow looks very professional and complex, but it’s actually an easy no-sew project! 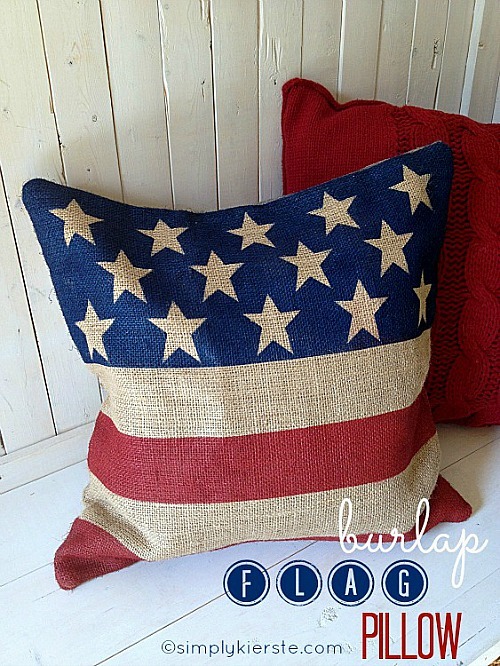 Simply + Kierste explains how to use just a few materials to make your own burlap flag pillow! This is one of my favorite patriotic DIY home decor projects because it’s so creative! 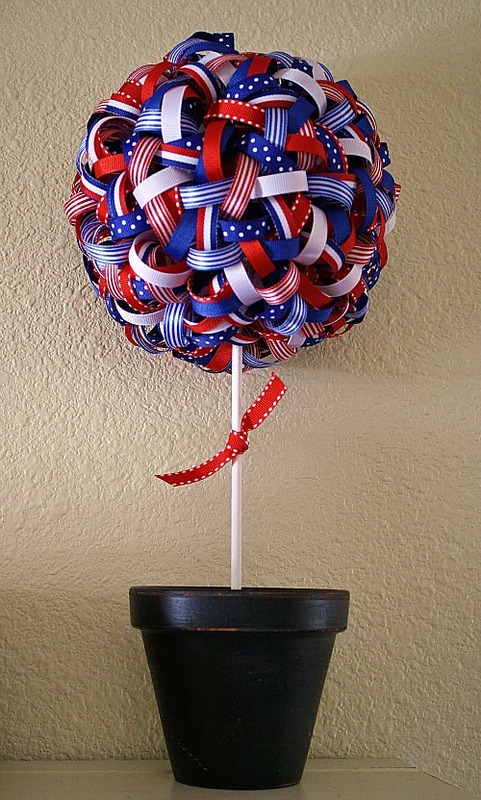 This would make a fun floral centerpiece at your patriotic party! Check out the tutorial on eHow on how to put together your own Mason jar flag centerpiece! While some of the other projects may be great ways to use up old jars, this project is a great way to use up old wine bottles! 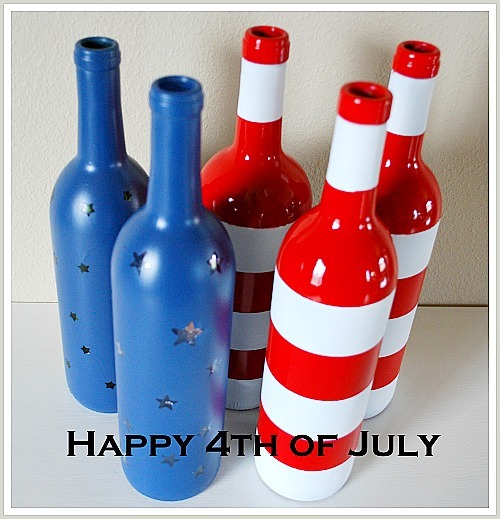 Check out the tutorial on Champagne Thursdays to find out how to paint your own patriotic bottles! If you like sewing, this is the perfect project! 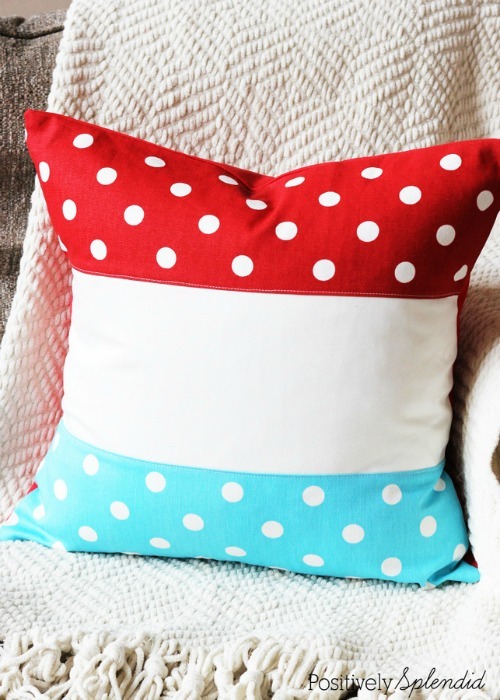 Positively Splendid gives detailed instructions on how to sew this pretty patriotic pillow! I would use this all year round since those are my favorite colors! This is a very simple project, but the end result is so pretty! 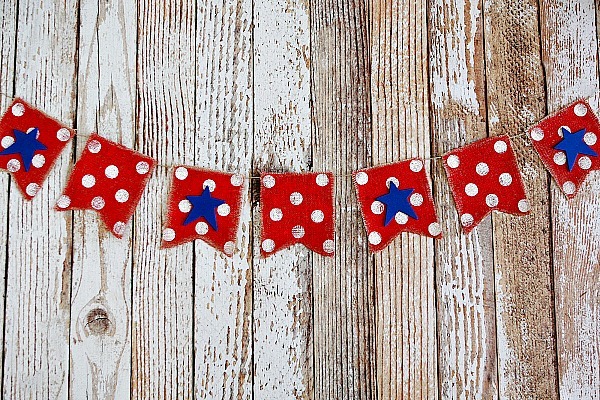 Eighten25 shows how to make your own red, white, and blue banner for your mantel or your party! These are such pretty paper flowers! Juggling Act Mama shows how to fold scrapbook paper into a patriotic paper flower arrangement! These are very easy to make and only require minimal sewing! 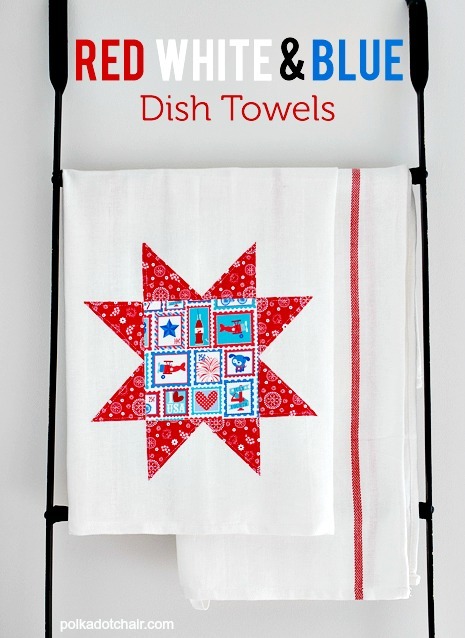 Polkadot Chair explains how to put together these pretty patriotic dish towels! This is a very simple DIY banner, but it looks so pretty! The main materials is doilies. 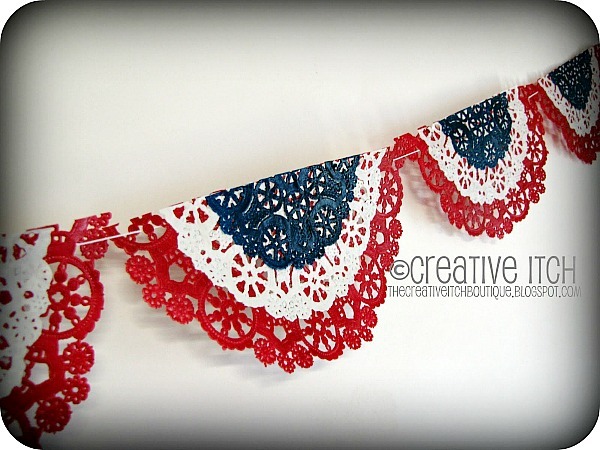 Creative Itch explains how to put everything together to make a pretty red, white, and blue doily banner! 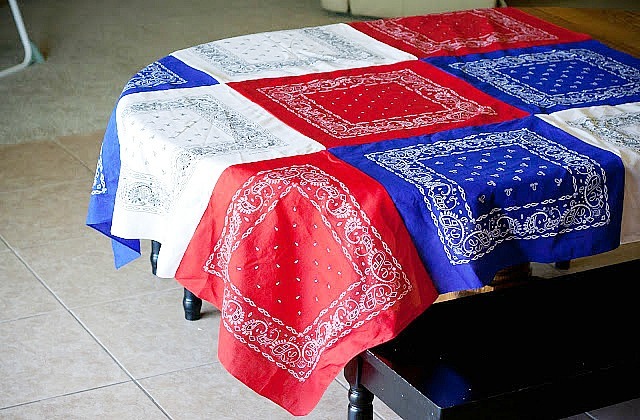 This pretty tablecloth is made using inexpensive red, white, and blue bandanas. Me and My Insanity explains how to sew them together to make the perfect patriotic tablecloth for your patriotic get-together! This is such a pretty topiary! 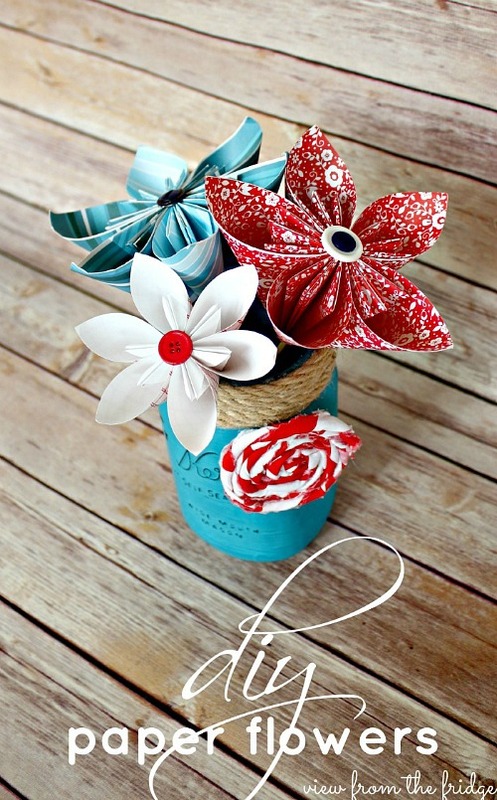 This seems like a fun craft, especially if you like working with ribbon! A Diamond in the Stuff shows how to piece ribbons together to make your own pretty patriotic topiary. 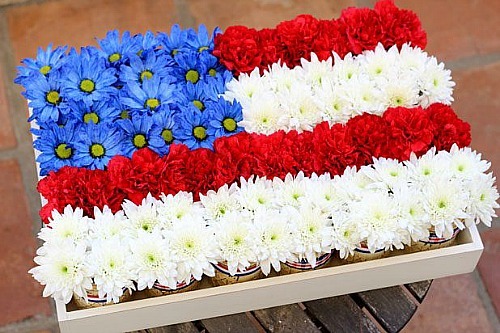 How do you like to decorate for Memorial Day and the Fourth of July?